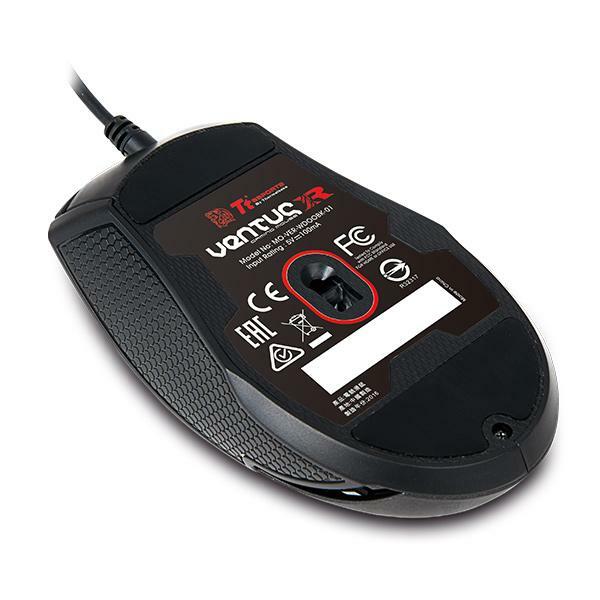 Powered by an ARM 32 bit microcontroller with 32KB flash memory, the VENTUS R provides lightning-fast processing power and speed to handle the most demanding of calculations, without compromising valuable computer resources. 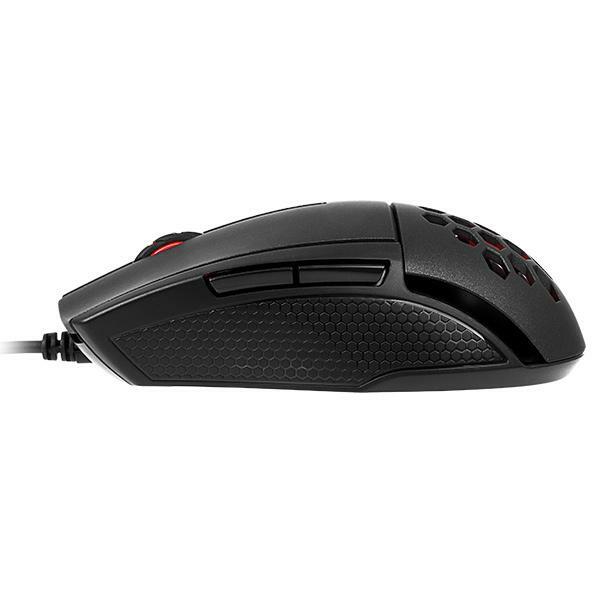 The VENTUS R optical gaming mouse offers up to 5000 DPI and can be fine-tuned in increments of 100 DPI allowing you to move with precision and pinpoint accuracy during gameplay. 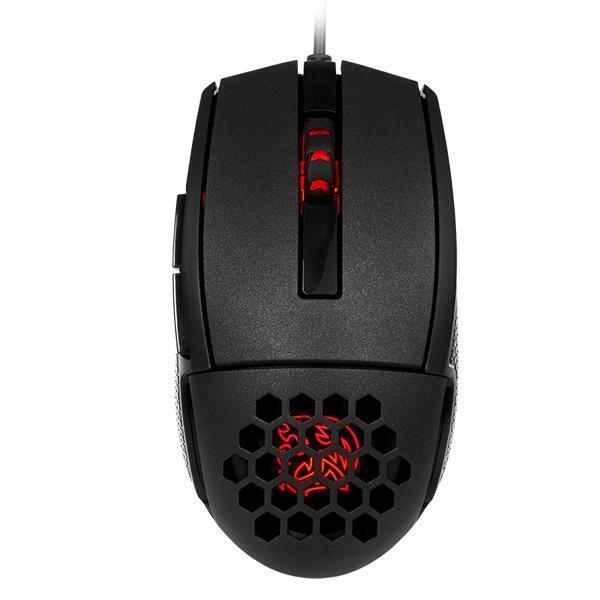 The use of high quality OMRON switches provide a truly enhanced tactile response from each click; and with a 20 million click lifecycle, the VENTUS R gaming mouse plans to compete as long as you do. 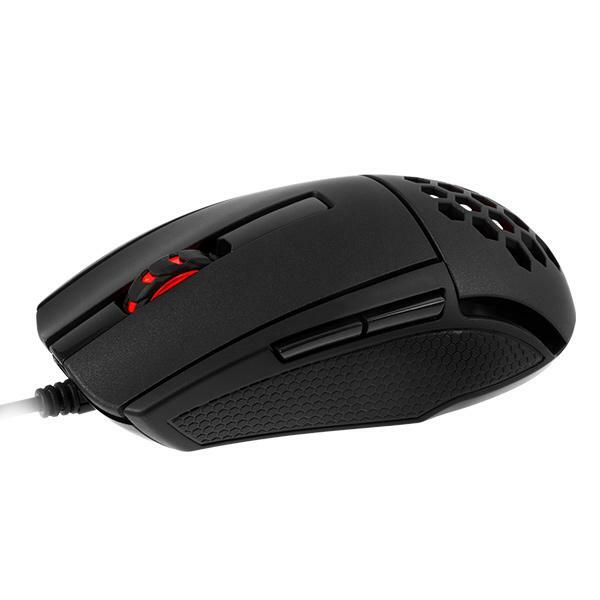 The VENTUS R mouse is built for those looking for customization. It’s built with 5 programmable buttons that can store up to 5 profiles with 25 programmable macro key options. Selectable polling rates can also be changed through the ranges of 125/250/500/1000 Hz via the gaming software. 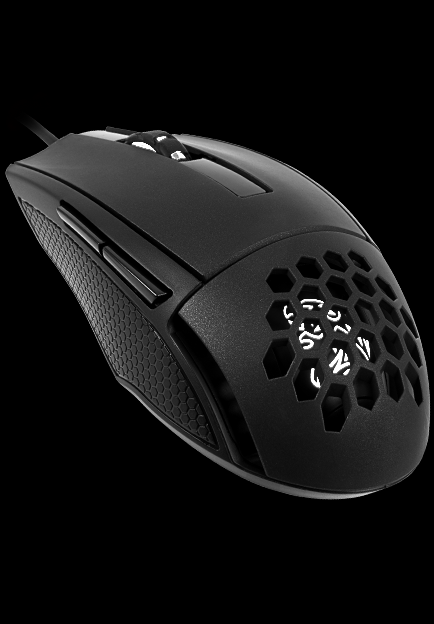 Designed for maximum comfort and flexibility, the VENTUS R is suited towards gaming enthusiasts who desire something smaller. Ergonomic and aerodynamic design features ensure movement and flexibility are not affected. 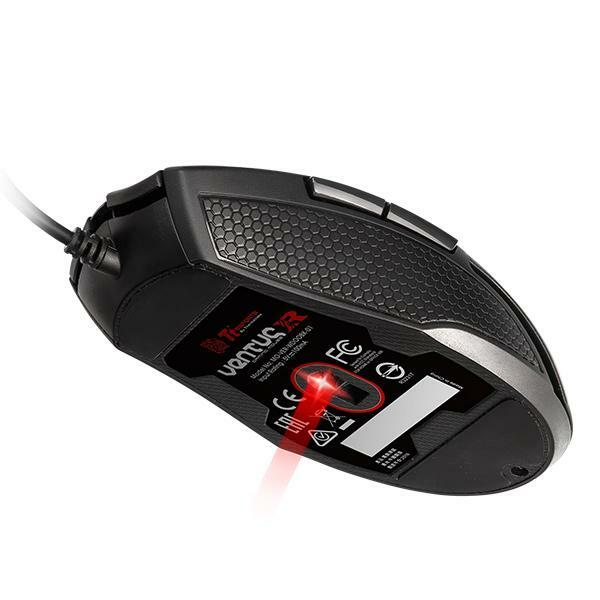 The new gaming software of the VENTUS R equips the gaming mouse with 16.8 million colors across 2 zones with readily adjustable illumination from 0 to 255. Personalize your gaming mouse to your style and gameplay, whenever, wherever. Specially advanced coated material covers each zone of the VENTUS R for improved comfort and durability, whilst creating a perfect balance between the areas required for essential grip, and areas for soft touch during your gaming sessions. 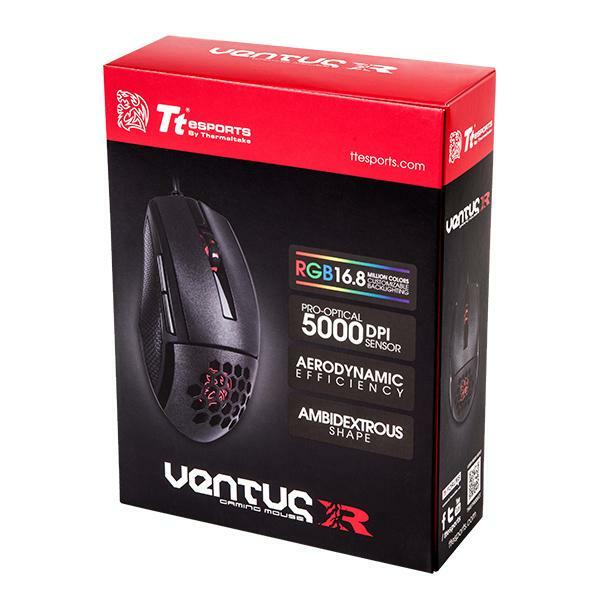 Gaming enthusiasts can adjust the color illumination of the VENTUS R via the preset color profiles stored in the 32 bit ARM processor of the mouse or download the new gaming software to customize their own color scheme. 8-bits in red, green, and blue equating to a total of 24-bits, plus 256 colors each, results to a whopping 16.8 million possible color options. The VENTUS R features 256K of built-in memory which allows for quick save and recall of your favorite settings anytime and from any PC. 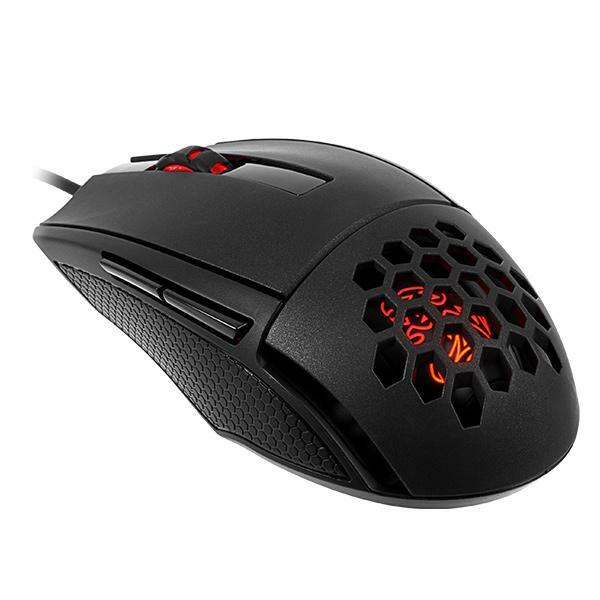 Save up to 5 individual profiles, DPI adjustments, lighting configurations and macros all directly onto the mouse.